When I'm not blogging, doing homework, hanging out with my dog, or sleeping, I'm loitering on Pinterest looking for some awesome DIYs to try. Sometimes they work, but sometimes they don't. To contribute to the already expansive collection of tutorials on the internet, I've decided to start documenting my trials of certain DIYs. Sometimes the person who does DIYs on a regular basis is able to DIY something much too difficult for us common folk to accomplish. This first DIY is from Drop Dead Gorgeous Daily. 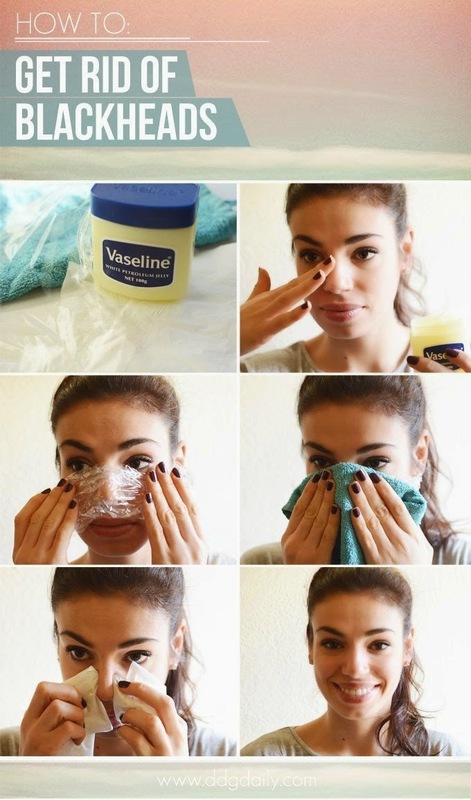 It's a trick to get easily get rid of blackheads. As a human being with pores in her skin, I happen to have quite a few blackheads. After trying quite a few different methods, I decided to try this out. The first step was to apply Vaseline to the area that had blackheads: in my case, my nose. I decided to gunk on as much as possible... Just in case. Then I applied the saran wrap to keep the heat concentrated within that area. I'm assuming this helped catalyze the process of the Vaseline sinking into the pores infected with blackheads, but I'm no science major. I was meant to hold a hot washcloth to my nose to further heat the area for 5 minutes, but I had a hard time keeping the washcloth hot. So, I held a damp and mostly lukewarm washcloth to my nose. And apply pressure to the area to push the now enlarged (and easier to remove) blackheads out! Voila! Well, kind of. 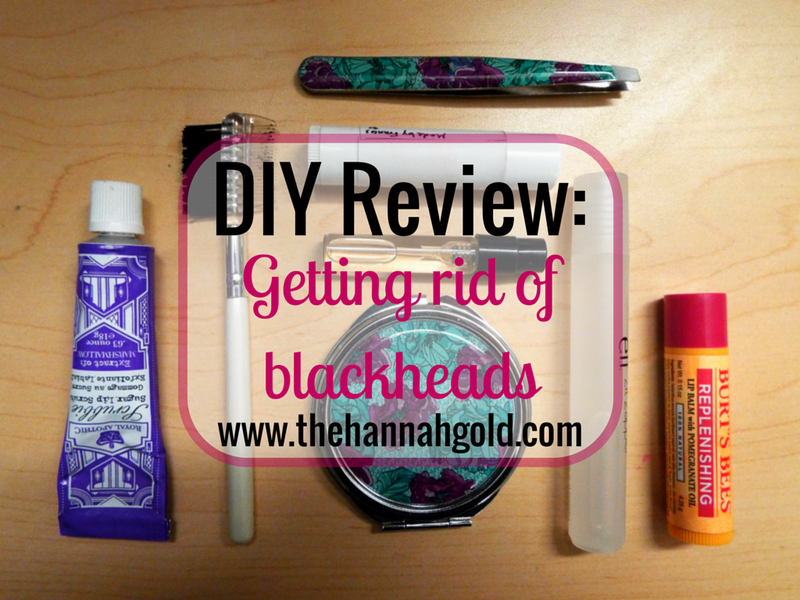 I didn't actually notice any significant decrease in blackheads on my nose, though I will admit the area was much smoother for several days following this DIY. I had decent results, but nothing I would call home about. To be honest, though, I didn't follow the instructions as well as I could have (specifically with the hot washcloth...), so it might be worth a try again in the future. Check out some of my favorite DIYs on my Pinterest and try this one out for yourself! Follow Hannah Goldstein's board • tips and tricks • on Pinterest.